Well, they claim that process stifles creativity, turns smart men into dumb monkeys, curtails growth, ensures status quo and so on. Process is one of those unfortunate things that have been branded as intrinsically wrong and inherently flawed. Like telling a lie. It is wrong irrespective of why, how and where you use it. This is where the problem is with the second group. Process is not inherently wrong. It is simply a tool and an approach. What can hurt is its wrong usage but a correct application will help. This is a subtle but fundamental principle that takes the focus away from the tool (process) to its application (how and where to apply the process). First, process provides safety. Life is complex. The details needed to safely execute anything but simple tasks are daunting. Human mind needs external help. An airplane pilot simply cannot remember all safety and operational details before taking off. They are simply too many and stakes too high. Hence, there exist detailed checklists and stepwise procedures to ensure that nothing is missed. Same is the case with surgeons operating on a patient. No matter how experienced the surgeon is, details cannot be left to memory. Similarly, traffic lights and their regulation ensures safety of vehicles crossing an intersection. We simply cannot leave control at drivers’ discretion. Putting a process helps reduce complex and risky situations to simplified and safe procedures. Second, process takes care of the regular, the routine and the repetitive by wrapping it into easy stepwise operations. The office cleans up regularly, the mail gets delivered after you drop it off, the trash truck picks-up trash at the same time and place, the inventories fill-up just before they are out of stock, stuff makes its way to markets and our salaries are deposited in our bank accounts on the same day every month. We do not have to run around for the regulars in our life. The process takes care of everything that can be taken care of. It makes life easier, simpler, faster and efficient. Third, process lets you focus on the important. This is really a derivative of the first two. By ensuring safety (survival) and taking care of the regular (the routine), process tries to clear up space for you to do what your primary focus is. It enables you to focus on what only you can do. Streamlined processes in an organization let its employees focus on their primary job responsibilities. It lets the programmer code, the designer design, the project manager focus on deliverables and the executive focus on strategy. They do not have to worry about whether the coffee machine is filled up or the mail is going to get through. 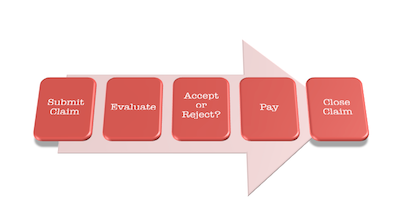 If a process sticks to the above three areas, there are no problems. It would help and contribute rather than hinder or constrain. It provides safety and efficiency. It makes everything deterministic and stable. The world seems a better place. Where things go wrong is when a process oversteps its mandate and intrudes into core job areas. When it becomes an end in itself rather than a means and support to the end, things start falling apart. When a software programmer has to worry more about time sheets than writing good code and an artist on processing checklists than focusing on the painting, creativity and productivity are the casualties. Government bureaucracies are a perfect example of process becoming the primary driver than a facilitation. Many big organizations are not far behind. So, if the CEO is worried more about process than strategy and a project manager about status reports than project results, then you have just created the second group! This entry was posted in Knowledge Work, Management, Productivity and tagged Organizations. Bookmark the permalink. Life begins n terminates with the processes. In-between the process regulates every aspect of life, ie physical, social, mental, religious etc. Rightly said that a process in itself isn’t a bad thing, until and unless it starts hijacking the core job areas. In my experience, majority of the teams can easily fall a prey to the kind of intrusion you have just mentioned and that’s when a process becomes a burden.